Representing several waste management companies in various class actions involving claims that deceptive fees were charged to customers. Representing a foundry allegedly fraudulently induced into a military contract to cast bomb bodies to impossible specifications. Representing a number of franchised gasoline station owners alleging that their franchisor, a major oil and petrochemical company, had engaged in unfair competition and commercial bad faith by favoring competing company-owned stations to the disadvantage of Mr. Burke's clients. Representing a pipe manufacturer in a wrongful death case arising from the improper unloading of pipe. Representing a water works product manufacturer in a case of wrongful death arising from improper installation of its product. Representing an international tractor truck manufacturer in a wrongful death case alleging that defective seatbelts had caused the plaintiff's death in an allegedly survivable accident. Representing a number of manufacturers of fire hydrants in prolonged five-year litigation against a major oil and petrochemical company whose grease allegedly caused excessive corrosion of internal parts, necessitating multi-million dollar recalls of hydrants in use throughout the country and world. Representing a bankruptcy trustee that sued the parent companies, investors and officers of a corporate debtor in bankruptcy that had operated a failed coal mine. Mr. Burke alleged on behalf of the trustee that the equity stakeholders and officers had breached fiduciary duties to the debtor and its creditors in a deepening insolvency situation. Representing an electric utility company accused of wantonly and negligently causing a fire that burned down the plaintiffs' home. Mr. Burke regularly represents clients in high risk litigation matters in state and federal courts throughout the country, both at the trial and appellate levels. Mr. Burke focuses his practice on general business litigation, transportation law and product liability and personal injury litigation. 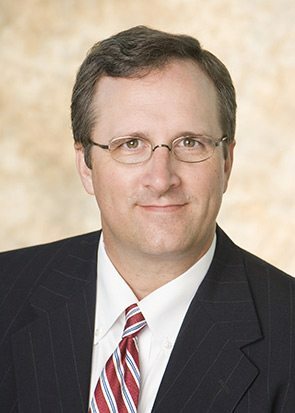 Mr. Burke has 20 years of experience in litigating and trying cases in federal and state courts. While earning his J.D. from the University of Virginia School of Law, Marty received the Robert E. Goldsten Award presented by the faculty. Following law school, Mr. Burke served for a year as a judicial clerk to The Honorable W. Harold Albritton III, U.S. District Judge in the U.S. District Court for the Middle District of Alabama. Before college, Mr. Burke served his country in the United States Marine Corps as a rifleman. While pursuing his undergraduate studies, Mr. Burke served the Birmingham community as a patrol officer with the Birmingham Police Department. Marty also serves in a pro bono capacity as counsel for Urban Purpose, Inc., a 501(c)(3) nonprofit. Urban Purpose focuses on developing one-on-one personal relationships with Birmingham’s homeless, assisting them with alcohol and drug rehabilitation efforts, and ultimately providing them with the housing, life-skill training, mentoring and community necessary to achieve independence, happiness and personal fulfillment.